Current track network of the VBK and the AVG in Karlsruhe and surrounding. 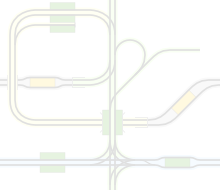 Current trackmap of the SWH. Situation before and after the reconstruction. Karlsruhe: New stop Durlchaer Tor in operation, depot Tullastraße updated. 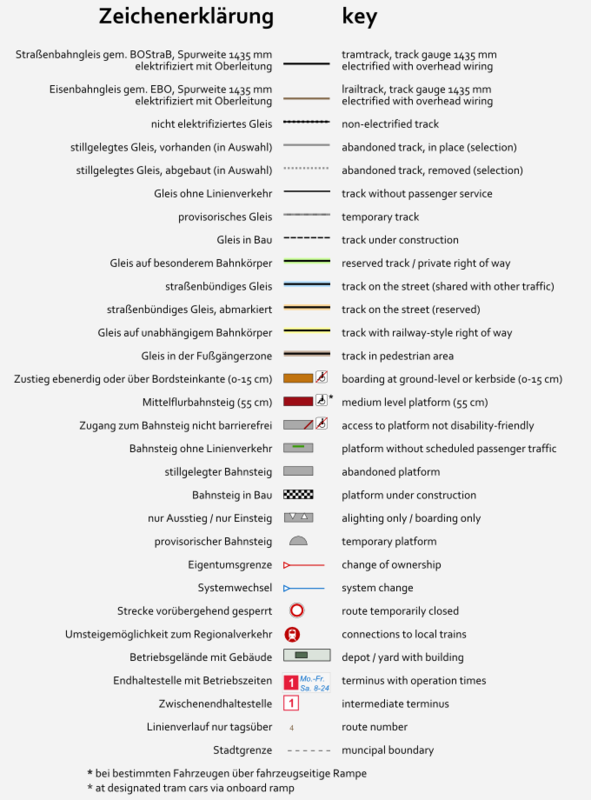 Karlsruhe: Construction projects updated, new tracks at Durlacher Tor in use. Karlsruhe: The track construction yard Gerwigstraße was closed and demolished. 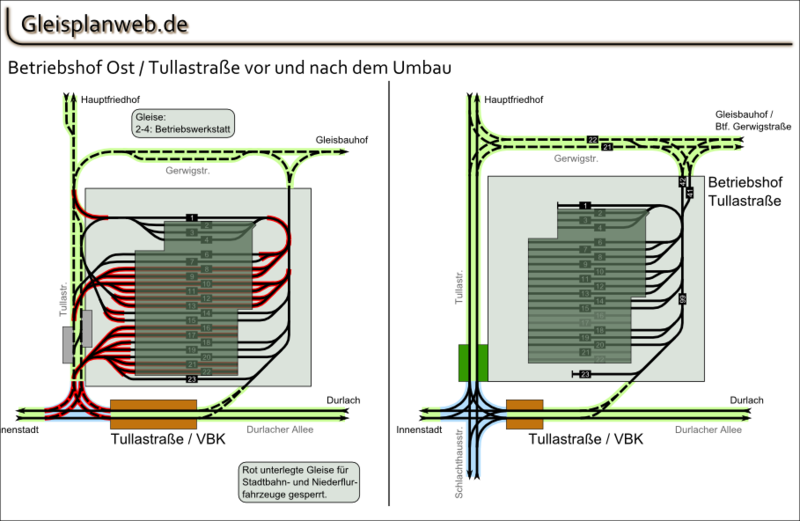 The newly build stop Tullastraße is in operation.